“Sharp Morris” Cotswold Morris dancing side. 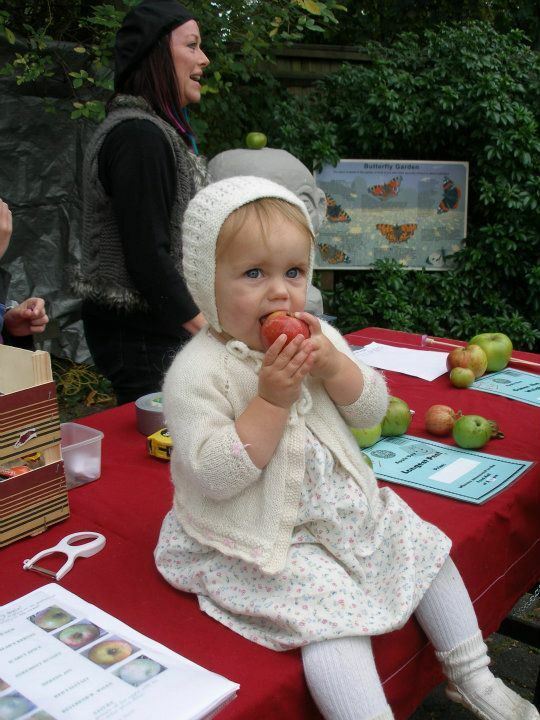 Apple Day in 2012 was attended by over 1,250 local people. There were many activities such as apple bobbing, guess the weight (3 different sizes of apple), a challenge to make the longest length of apple peel, William Tell (hit the apple using a bow and arrow), candle rolling, apple crushing & juicing, and herbal quests. There was also a special activity tent for younger children where they could make their own apple themed toys. Items for sale included several varieties of organic apple, freshly pressed apple juice, organic cider, organic vegan savoury foods, a huge variety of apple deserts and cakes, eco books, plants, honey, jams & chutneys. Baked goods were kindly supplied by many local residents, and students from Waltham Forest College excelled themselves again this year by supplying a large number of tasty cakes made from locally sourced apples. Entertainment was provided by local musicians Chris Hill, Tori Freestone & Jez Franks, and the Sharp morris dancing side. The day was organised by the Hornbeam Centre, OrganicLea, Vestry House Museum, Walthamstow Village Residents’ Association, and Transition Walthamstow. The programme for the day is here (500 copies printed), and the A5 flyer here (2,000); we also had an A4 poster (70). 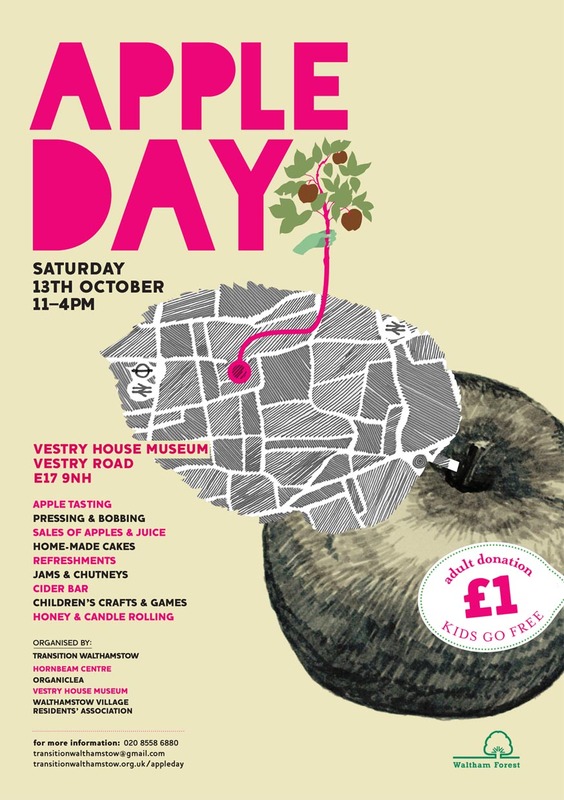 Download an Apple Day A4 poster, or A5 flyer.